One of Blood Cancer Research WA’s supporters is the Rachel Doherty Foundation (RDF) which advocates for the establishment of a clinical network for new generation drug trials and cancer research. “Rachael was diagnosed with Hodgkin’s lymphoma in 2004 and bravely fought the disease for eight years. Just 17 when diagnosed, Rachael was several months short of her 26th birthday when she finally succumbed to pneumonia caused by the effects of cancer. Unfortunately, Rachael’s story is all too typical for Australians – many of them young and vibrant like her – who are ravaged by a disease that knows no bounds”. Moving to different hospitals all over Perth for treatment and the lack of access to the newest drugs via clinical trials was a huge hurdle in Rachel’s fight with Hodgkin’s Lymphoma, which saw her having to frequently travel to Melbourne to be able to receive the latest treatments. The Rachel Doherty Foundation are proudly supporting Blood Cancer Research WA. Chronic lymphocytic leukemia (also called CLL) is a type of cancer in which the bone marrow makes too many lymphocytes (a type of white blood cell). CLL is a blood and bone marrow disease that usually gets worse slowly. CLL is one of the most common types of leukemia in adults and it often occurs during or after middle age. As part of a recent presentation, Associate Professor Chan Cheah, Clinical Haematologist and Director of BCRWA shared the below chart which looks at Lymphoma incidence in Australia versus WA. Whilst the incidences in Australia as a whole have increased on a steady level, there have been clear, yet not fully understood, peaks and falls in WA lymphoma cases since the 1980s. As is the norm with Lymphoma world-wide, there have been more cases diagnosed in men than in women. Currently, there are approximately 5000 Australian diagnosed each year, with 654 Western Australians diagnosed in 2017. Continuing research into the disease & new and improved treatment is vital to help current and future patients suffering with Lymphoma. Along with our supporters and our collaborating health institutions, Blood Cancer Research WA is committed to providing excellence in diagnosis, treatment and clinical research for WA blood cancer patients. Visit our website to find out more about BCRWA, currently recruiting Clinical Trials and how to Donate to this worthy cause! A/Prof and Director of Blood Cancer Research WA, Chan Yoon Cheah, has over 70 publications to date. 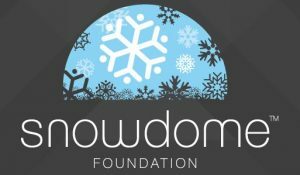 Here is a snippet from the latest newsletter from the Snowdome Foundation, a proud supporter and collaborator of BCRWA. 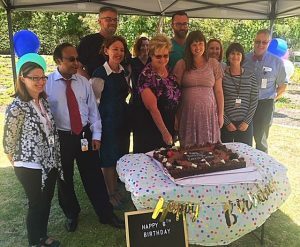 “Over in the west, Blood Cancer Research WA have been busy with eighteen trials underway in a variety of different blood cancers. It is fabulous to see Western Australian blood cancer patients obtaining access to so many clinical trials now. 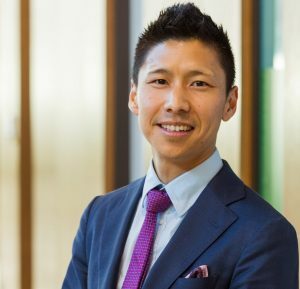 We would also like to congratulate Chan Cheah on winning an award for 40 Under 40 for inspiring and demonstrating true WA entrepreneurship within his field. Chan also received the title of Clinical Associate Professor of the University of WA so it has been a big couple of months”. Last month we welcomed our new Fellow, Dr Xuan Tan, to the BCRWA team! Xuan joined Sir Charles Gairdner Hospital and Linear as a Haematology Research/Clinical Fellow in February 2019. Following graduation from University of Melbourne in 2010, she completed internship and basic physician training in Melbourne before moving to Hobart to commence Haematology advanced training. She is particularly excited about her new role, which will involve looking after acute myeloid leukaemia, multiple myeloma and other clinical trial patients. As part of her fellowship, she is also pursuing Master of Clinical Research (UWA), with her thesis focusing on health economics analysis in next generation sequencing in acute myeloid leukaemia and other haematological malignancies. Come along with friends or family, or walk the 5km solo! Wear LIME GREEN or purchase a T-shirt from the online shop. All funds raised will support Lymphoma Australia’s Lymphoma Care Nurses! The Comprehensive Cancer Centre in Sir Charles Gairdner Hospital opened in 2013 and cares for both public and private haematology and oncology cancer patients, as well as for patients suffering various blood disorders. Clinical Haematologist Dr David Joske spoke warmly about the difference the Cancer Centre has made to patients and their families lives so far. Dr Joske continued to inspire and encourage all members of staff to strive for their best and succeed in making the patient journey even better. “In the war against cancer, this wonderful building will very much be a part of the front line. This building, and the people in it, will together share some tough times. Sadly, we still can’t cure all cancer. But whether we do or don’t, our patients must still undertake that journey and like Frodo the Ring-bearer, they will need all the friends they can muster. No less than Hippocrates understood this: he said “Cure sometimes, treat often, comfort always”. Lymphomas are blood cancers that affect the lymphatic system, part of the immune system which protects the body against disease and infection. Lymphomas occur when lymphocites (a type of white blood cell) undergo a malignant change and multiply in an uncontrolled way. The lymphoma cells then accumulate to form tumours in the lymph nodes, which are located throughout the body. There are two types of lymphoma; Hodgkin lymphoma and non-Hodgkin lymphoma, which can be distinguished by the specific lymphocites involved. It is estimated 6423 new cases of lymphoma will be diagnosed in 2019, making Lymphoma the sixth most commonly diagnosed cancer in Australia. Leukaemia starts in the bone marrow where developing blood cells (usually white cells) undergo a malignant change. These cells then crowd the marrow, affecting the body’s ability to produce normal blood cells. In 2019, 4251 new cases of leukaemia are estimated to be diagnosed in Australia. Myeloma is a cancer that develops in plasma cells (a type of white cell) of the bone marrow. The usual role of plasma cells is to help fight infection. In 2019, it’s estimated that 2007 new cases of myeloma will be diagnosed. Blood Cancer Research WA is collaborating with three sites to open more Clinical Trials in WA, so more West Australians have access to the latest treatment in blood cancer research. Like and follow our Facebook page to keep up to date and click the “Donate” button on our website to contribute to this worthwhile foundation. Solaris Cancer Care’s annual fundraising dinner is set to be spectacular again with a raft of unique items to be won! Including, a Margaret River Pro Gold VIP experience, an amazing Rogaska crystal vase, a Wise Winery degustation lunch for eight and a beautiful pearl and diamond pendant from Willie Creek Pearls, to name a few. 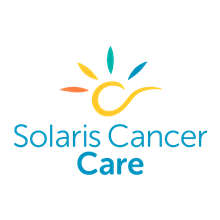 Solaris Cancer Care offer unconditional support to all people in Western Australia affected by cancer, including carers and family members, through all stages of the illness, including long term survivors and bereaved families. Solaris Cancer Care’s programs cover important areas of wellbeing for individuals with cancer and their families. In offering personalised support services, Solaris Cancer Care can personalise programs to integrate with chosen lifestyle and treatment regimes.